The Rio De Janeiro institution was home to Latin America's largest archive of historical artifacts. 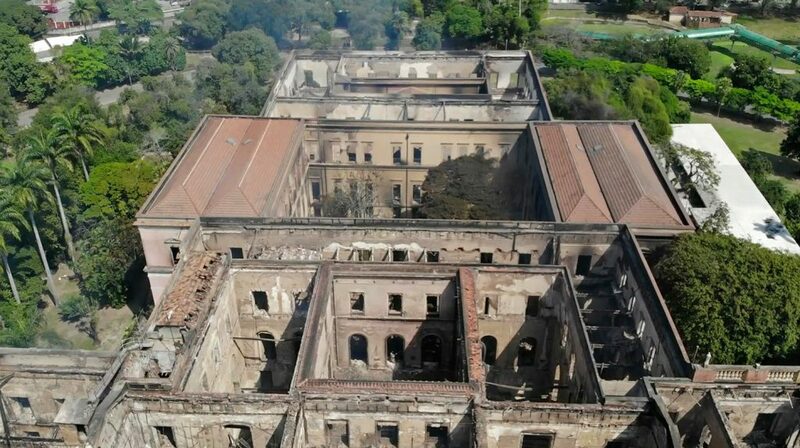 RIO DE JANEIRO – Smoke rose Monday from the burned-out hulk of Brazil’s National Museum, as recriminations flew over who was responsible for the loss of at least part of Latin America’s largest archive of historical artifacts, objects and documents. The museum’s director said part of the collection was destroyed but that it was not possible yet to detail what was lost. The museum had a collection of 20 million items – including Egyptian and Greco-Roman artifacts and the oldest human skull found in the Western hemisphere – and was once the home of the Portuguese royal family. It was not clear what was at the site when the building caught fire Sunday night. But the fire quickly led to criticism over dilapidated infrastructure and budget deficits as Brazilians prepare to vote in national elections in October. Kellner said that the institution had just recently secured approval for funds for a planned renovation of the museum, including an upgrade of the fire prevention system. “Look at the irony, the money is now there, but we ran out of time,” he said. Roberto Robadey, a spokesman for the fire department, said firefighters got off to a slow start fighting the blaze because the two fire hydrants closest to the museum were not functioning. Instead, trucks had to be sent to get water from a nearby lake. Kellner said there were fire extinguishers on site, but it was not clear if there were sprinklers since they are problematic for museums because water can damage objects. The building was still standing Monday morning, but much of it appeared to have been gutted. A few hundred people crowded at the gates of the site, some in tears. 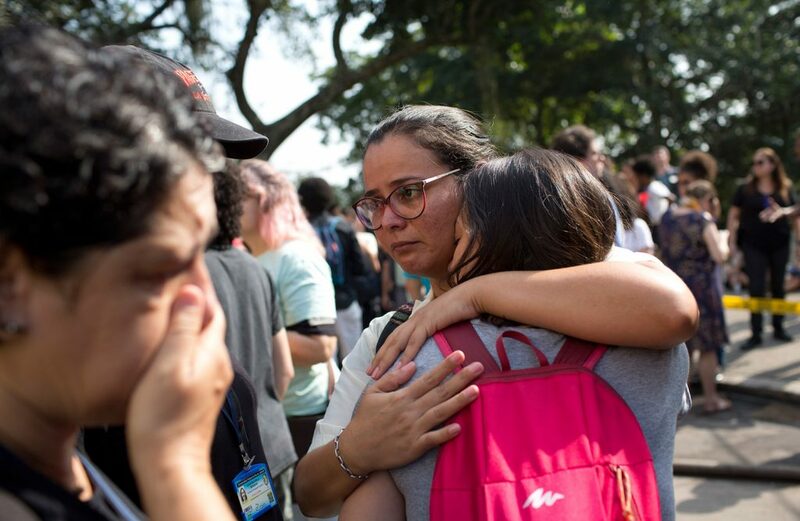 Roberto Leher, the rector of the Federal University of Rio de Janeiro, of which the museum is a part, told reporters Monday that the building needed an upgrade to its electrical and water systems and a new fire prevention plan. “We all knew the building was in a vulnerable state,” he told reporters. He added that officials had been working with firefighters to reduce those risks. “A fire of this scale, the reality unfortunately showed this, we needed a systematic intervention,” he said. The museum was closed to the public at the time of the fire, which broke out at 7:30 p.m. Sunday local time, it said in a statement. There were no reports of injuries, the museum said, and it wasn’t immediately clear how the fire began. DiLorenzo reported from Sao Paulo. Associated Press video journalist Yesica Fisch contributed to this report from Rio. AP reporter Mauricio Savarese contributed from Recife, Brazil.